CREAF is committed to supporting specialized facilities and research instrumentation to serve the needs of a growing research community. 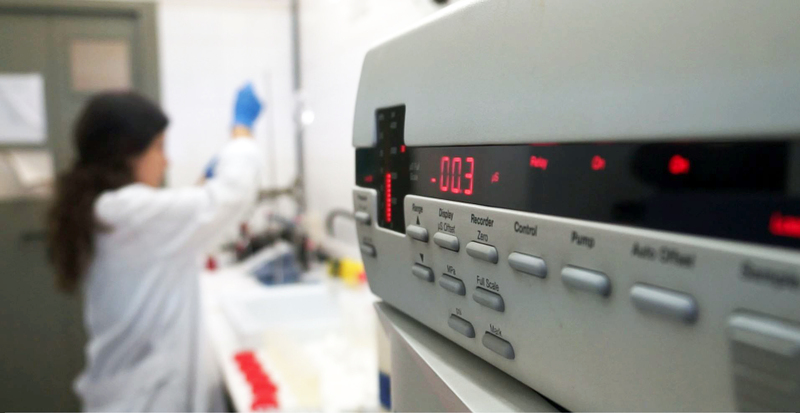 CREAF's building is equipped with several laboratories allowing the analysis and processing of samples with different experimental requirements. Working here you will have access to infrastructures and large-scale equipment of the UAB Scientific and Technical Services, covering a number of other experimental methodologies. Highly specialized analyzes requiring high-throughput DNA sequencing techniques and/or high-class bioinformatics expertise are carried out incollaboration with external Genomic Research platforms. CREAF holds three reference collections. One with more than 30.000 specimen of pollinators, other with soil samples from forests and grasslands across Catalonia characterized in terms of physical, chemical and biological properties and other with 7.500 mediterranean tree cores. Soil ecology facility for physical, chemical and biological analyses of soil, conducted, for example, to determine the concentration of particular nutrients, the microbiology or the communities present in soil. In recent years the laboratory has also been used for ecotoxicological studies of contaminated and decontaminated soil, some of them based on the facility's different bioindicators, such as Collembola (Folsomia candida), Oligochaeta (Enchytraeus crypticus) and Isopoda (Porcellionides sexfasciatus). The laboratory is equipped with a calcination furnace for drying carbonates, organic material, etc. ; a drying oven; a multi-plate absorbance reader, which is very useful for measuring enzyme activity; and various centrifuges. It is complemented by a smaller laboratory with Berlese funnels and a temperature-controlled room for incubation (in addition to the incubators available in both laboratories). Communal laboratory useful and fully available to all CREAF's research groups. The facility is equipped with two precision balances for maximum accuracy in weighing; traditional balances; a freeze-dryer, which dries material by applying a vacuum; a double oil-immersion optical microscope fitted with a camera; and an inverted microscope, which, for instance, the palaeobiology research group is using to analyse phytoplankton and zooplankton in sediment cores taken from clear water. CREAF has also a communal laboratory with a range of magnifiers. The laboratory is equipped with several optical microscopes and space to keep collections here and analyses them periodically. 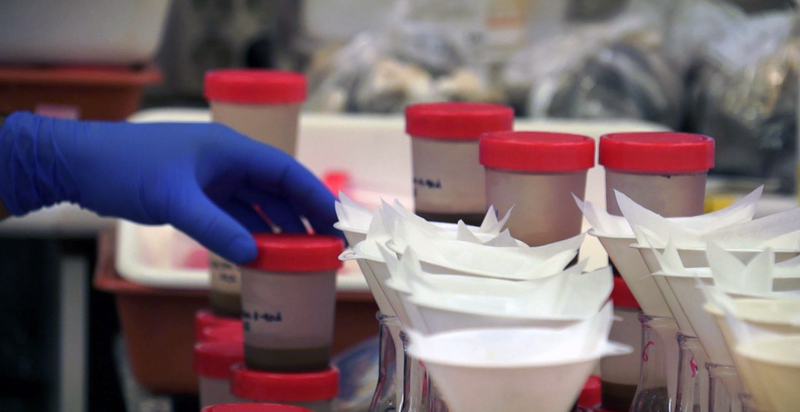 CREAf has a laboratory for experiments requiring reagents, solvents, etc. 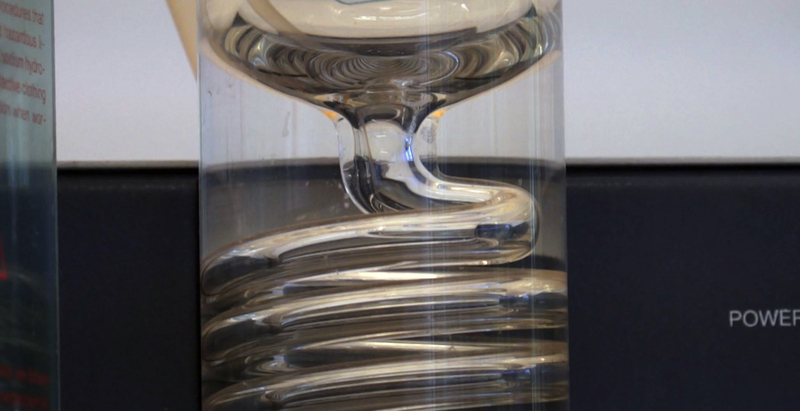 It could be used to analyse different solids (concentrations of phosphorus, nitrogen, etc.) and for metabolomic analyses. The facility is equipped with a centrifuge; a vortex mixer; a sonicator, which uses ultrasound to disrupt cell membranes in solids; a freeze-dryer; various freezers; and all the necessary chemicals (acids, bases, solvents). There is another laboratory mainly used for experiments involving VOCs (compounds on the basis of which plant-plant, plant-animal and/or plant-atmosphere relationships can be studied). The facility has a complete gas exchange and emission sampling equipment, two complete analysis stations, comprising liquid and gas injectors (capacity: 98 vials), heat absorption units, spectrometers, chromatographs, etc. CREAF has a laboratory for analyses of rainwater and water from watercourses. This is full equiped to detect concentrations of leached nitrites and nitrates. The facility is equipped with a pH meter, an ion and cation chromatograph, a conductivity meter and drying ovens. CREAF is also working to implement a system using rain and snow collectors fitted with exchange resin cartridges. This passive collectors to estimate atmospheric deposition are currently sampling remote sites in the Pyrenees. 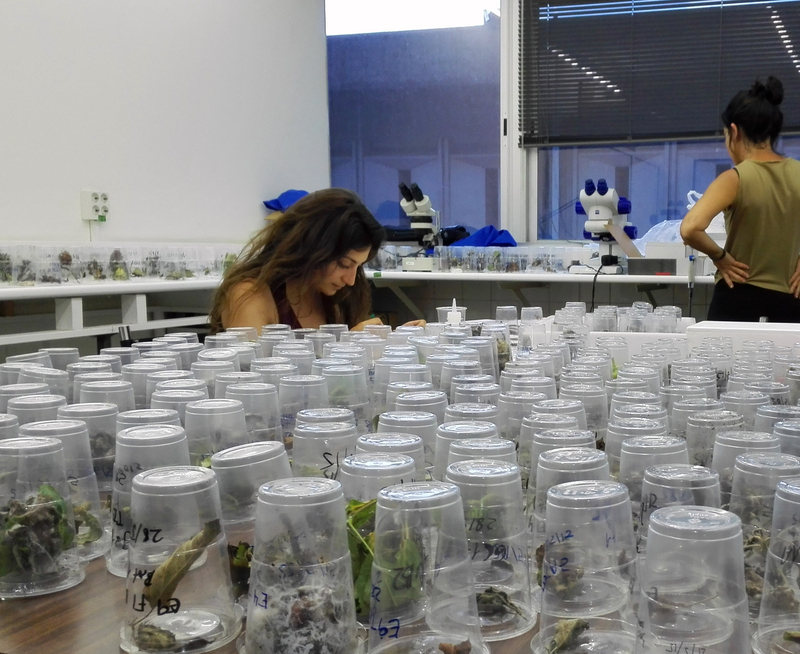 The center also have two spacious facilities in which researchers can take all the time they need to analyse material collected in the field (sediment, plants, recipients for distinguishing between states of drought, etc.). Each facility is used for different volumes of material. 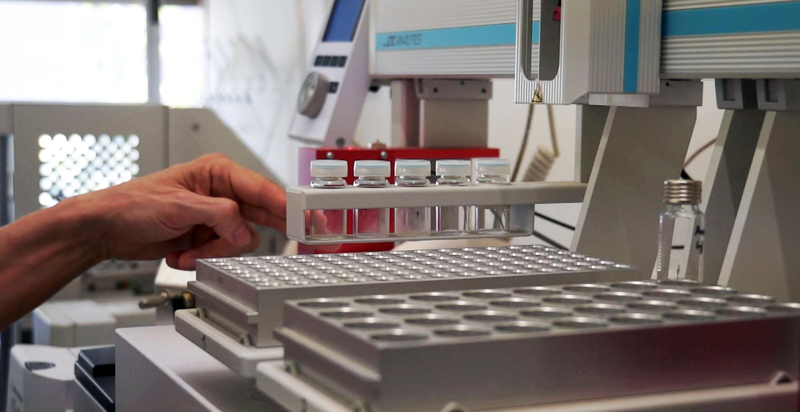 More sizeable samples are firstly dealt with in the large sample laboratory and then, if necessary, transferred to the small sample laboratory to be studied in greater detail. Communal laboratory useful to all researchers at one point or another in their research. It is insulated to ensure safety when carrying out vapour-producing reactions. The facility is equipped with two fume hoods; a conventional distiller; a Kjeldahl distiller, which is very useful for determining the nitrogen content of soil, water and food; and cabinets containing the main acids used in digestion procedures. Laboratory with the basic infrastructure for applying molecular tools for understanding ecological and/or evolutionary matters. The infrastructure in question varies constantly, depending on users' needs. 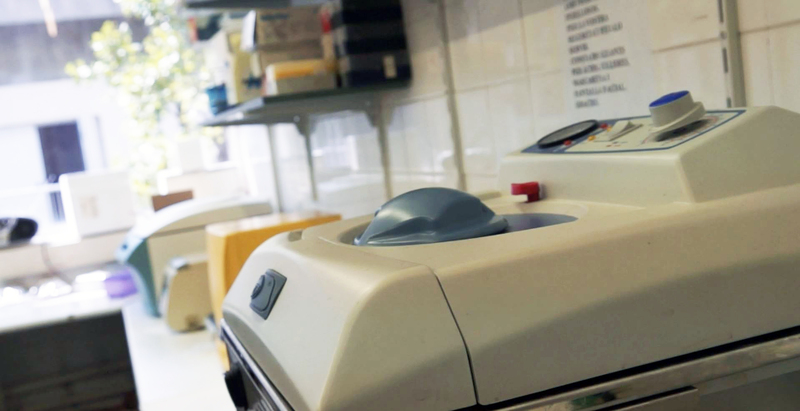 The facility has two thermal cyclers (capacity: 96 x 0.2-ml tubes or 1 x 96-well plate); a centrifuge with two interchangeable rotors; a centrifuge for 24 Eppendorf tubes; a precision balance; two upright freezers; a laminar flow cabinet; two horizontal vortex mixers; a thermostatic bath with a metal block thermostat; a tabletop autoclave (capacity: 12 litres); and three electrophoresis system power supplies. CREAF's research requires experimentation in controlled conditions. 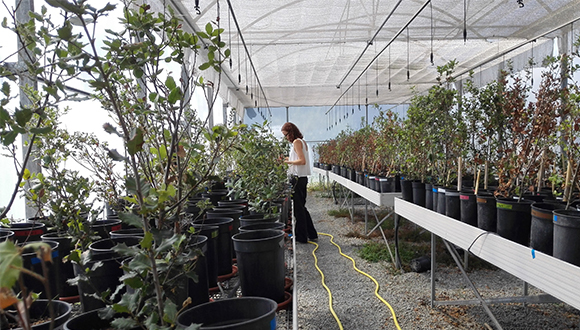 A number of the centre's groups carry out such experiments in the facilities of the Autonomous University of Barcelona's Experimental Site and Farm Service. Greenhouses are used very frequently at present, due to them having space for hundreds of plant samples. Biological station near Barcelona. Located in the Serra de Collserola Natural Park, one of the metropolitan area of Barcelona's largest and best preserved forest areas, Can Balasc has laboratories and greenhouses, a guest house with rooms for visiting researchers, and 100 ha of forests and experimental sites for research purposes. It is ideal for evaluating the effects of global change on Mediterranean metropolitan ecosystems, which provide essential ecosystem services and are especially affected by drivers of global change (land use changes, wildfires and invasive species). Several field experiments that have been running for more than 15 years and are part of the Spanish and European Long Term Ecological Research Networks (LTER-Spain and LTER-Europe) have been taking place at Can Balasc since 2012. Permanent agricultural plots for monitoring the application of biochar. 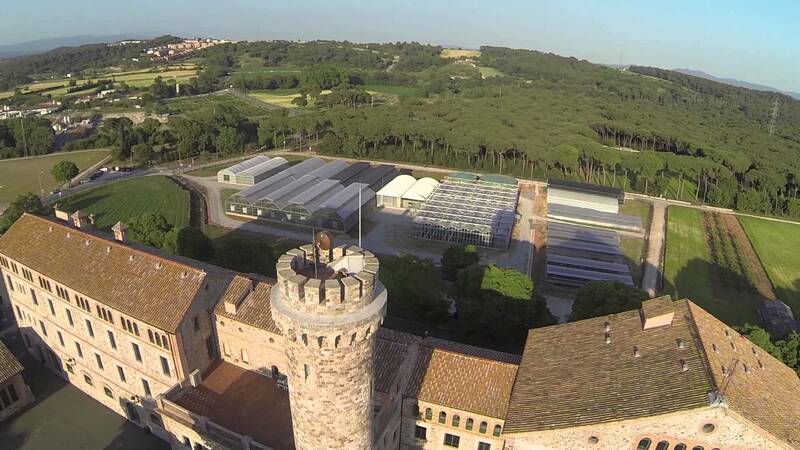 Located at the Torre Marimón centre of the Institute of Agri-food Research and Technology (IRTA) in Caldes de Montbui. Outdoor mesocosm to which biochar was applied in 2011, since when, following local agricultural practices, barley has been grown there. Easily accessible. Overnight accommodation available nearby. Young managed forest with marsh vegetation and riparian woodland. It has temperature and humidity sensors and a monitoring system. Easily accessible. Overnight accommodation available nearby. Mature managed forest with beech woods, temperate and sub-Mediterranean oak woods, and crop fields. It has a Lascar humidity and temperature sensor network. Easily accessible. Overnight accommodation available nearby. Plot in the Fageda de Santa Fe. Mature managed forest with mature beech wood vegetation. Not easily accessible. No overnight accommodation available nearby. 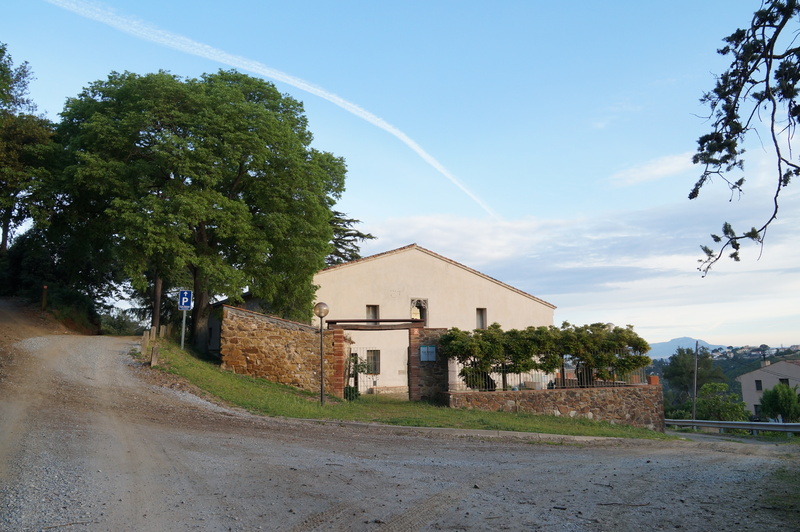 Plot in the village of El Brull in the Montseny Natural Park. Mature unmanaged forest consisting of an instrumented basin with equipment for measuring air pollution. Not easily accessible. Overnight accommodation available nearby (La Castanya). Plot in a mature mountain pine forest in the Ordino Valley. It has dendrometers and nest boxes. Not easily accessible. Overnight accommodation available nearby. Young unmanaged forest near the town of Olivella, on scrubland that has regenerated following a forest fire (1994). It has a weather station. An experimental drought treatment has been applied there. Not easily accessible. No overnight accommodation available nearby. Plot above the village of Meranges. Unmanaged mountain pine wood comprising mature and a few young trees. Remote access. No overnight accommodation available nearby. Plot of holm oak wood in the town of Poblet. Mature unmanaged forest with high tree density. It has a weather station. An experimental drought treatment has been applied there. Remote access. No overnight accommodation available nearby. Currently comprising tens of thousands of specimens of 750 different species of insect pollinators, this collection dates back to 2006, when CREAF's related line of research began, under the direction of Jordi Bosch and Anselm Rodrigo. 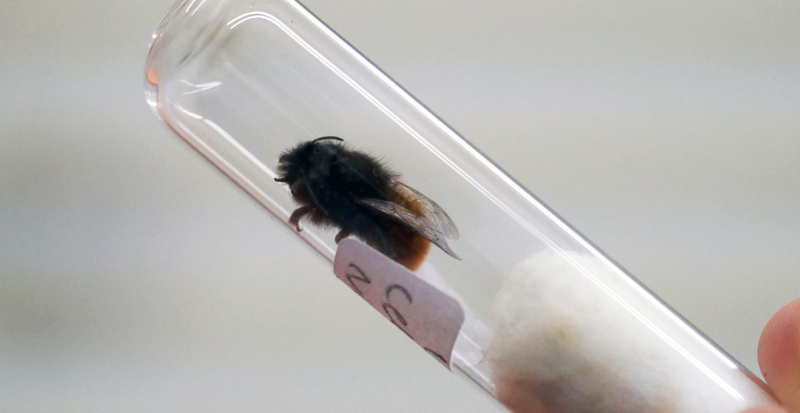 The collection has grown as a result of both sporadic captures and systematic, standardized sampling, mainly carried out using entomological nets, coloured traps, and nesting tubes for solitary bees and wasps. It includes samples from different parts of the Iberian Peninsula, such as Catalonia (Garraf, Montseny, Lleida, Olot), the Sierra Nevada, Cuenca and Burgos. Complemented by a correlation database containing information on the abundance of certain species, their functional traits (e.g. body size, length of mouthparts) and any interactions observed (plants from which they collect pollen, types of parasites present in their nests, behavioural traits, etc. ), the collection has been used to carry out molecular analyses and meta-analyses with various partner centres. 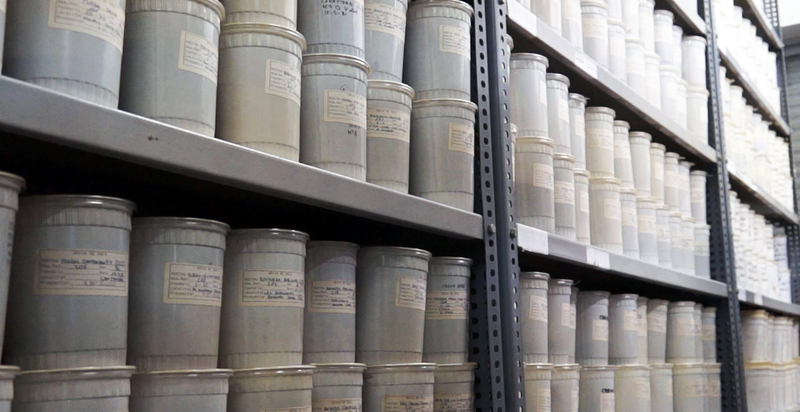 The soil research group associated to CREAF and the Autonomous University of Barcelona has a descriptive field profile and a soil analysis for each study it has carried out since the 1970s. This has developed into Edafotec, a collection of soil horizons from across Spain, including samples from everywhere from Galicia to Cantabria, Catalonia and the Balearic Islands. The collection has grown to include around a thousand elements at present. It has been used to compare soil from a particular location in different years, to study the earth in restored quarries, and for isotope analysis. 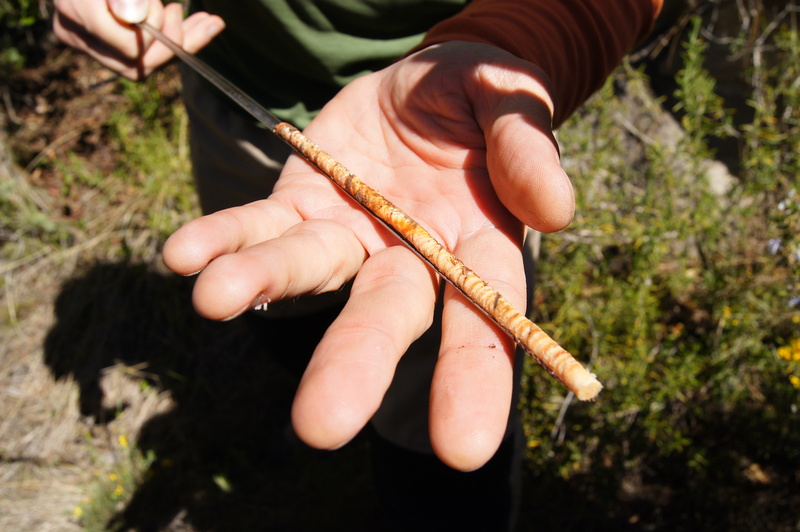 As a result of the participation in the Forest Ecological Inventory of Catalonia, the Forestry and Fire Dynamics Group preserves more than 7,500 cores of typical trees of the Mediterranean area. The collection comprises two core types: partial, where only a small part of the trunk has been extracted to estimate the growth in recent years, and entire cores, those with the whole series of time (up to the centre of the trunk). In total, representatives trees, one of each diameter class, were extracted -from the 5 cm thickness of the trunk- in some 2,000 plots and of all type of species from Catalonia, except holm oak (Quercus ilex) and cork oak (Quercus suber) due to the nature of the wood of these species, since they do not have a typical growth ring. This material has already been used in different scientific articles, to assess forest production, forest age, average growth, etc. and can be found in Can Balasc.